Microblading is a form of tattooing and unlike a regular tattoo, microblading is a form of tattoo artistry where pigment is implanted under your skin with a manual handheld tool instead of a machine. 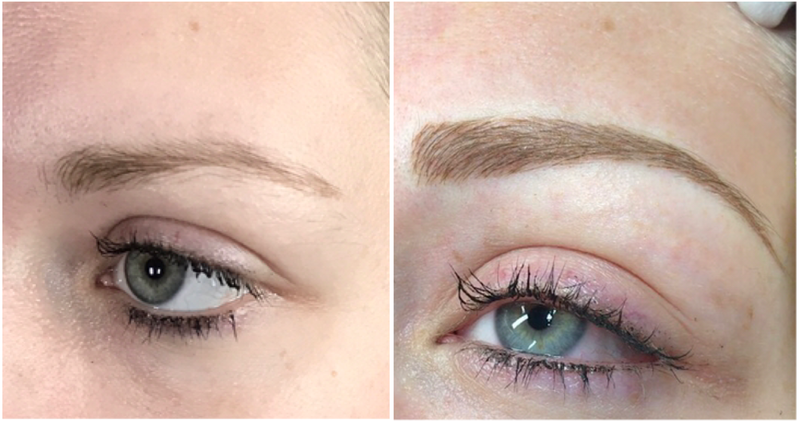 This technique is a process that may be used to improve or create eyebrow definition, to cover gaps of lost hair, to extend the eyebrows, or may be used as a full reconstruction if the brows have little/no hair. Each microblading stroke is applied individually, allowing the tattoo artist/beauty therapist to control of the shape, colour and density of the completed eyebrows. The treatment begins with developing the desired shape, then using individual tattoo strokes or 'feathers' in the area to plot the shape and style requested. The color choice is patient specific and is mixed using a natural selection of micropigments to complement hair colour and skin tone.